to see where I am. For me renewal has meant retirement, semi-retirement really. Yesterday, I found myself one of the youngest people in a theater full of seniors. We were there for a morning (two dollar) screening of Sometimes a Great Notion, recently digitized. Last month, I toured Sicily with a group of Rick Steves sightseers—most were retired. Again, I was one of the youngest participants, as it is the off-season and retirees are more likely to travel this time of year. While I had a wonderful time, I’m still finding it difficult to see myself as one of them. This phase of life came upon me too fast, with breast cancer breathing down my neck. I could have kept working, but I wanted to rethink the precious time I have left—be that 5 years or 45. I recently read an inspiring report in the January/February issue of AARP Bulletin, “Great Second Careers — 16 People who Found Success, Security and Happiness after 50 with a New Job.” These 16 folks have earned some jaw-dropping awe from me. The AARP Bulletin profiled workers who are relishing new careers—tough ones, too. The rag even featured a physician, who graduated from medical school at the age of 48 and began applying for fellowships at 58. I don’t need to be a doctor, but I suspect I may decide to let go of that “retired” label at some point. Working on the chapbook has certainly played into my push toward renewal. Maybe I can finally begin to say I have a writing career. Breast Cancer: A Poem in Five Acts is a good first step. Finishing Line Press has helped with the publicity, sending out 100 postcards to plug my new book. I’ve come in behind them, learning the art of promotion as I go. While I’m not sure what approach will actually bring the best attention to the book, I have been taking stabs at email, Facebook, LinkedIn, and Twitter. I’ve got a media kit on my website. I’ve sent out postcards, too. I don’t expect to make money on this project. In fact, I probably won’t. According to the terms of the deal, Finishing Line pays in copies, not royalties—unless my sales shoot above the 1000 mark. It appears I’m in good company on the money issue. I recently listened to Ron Hogan give a talk on the writing life. A lot of what he said, I’d heard before. Yet I was happy to be reminded writing is a labor of love for most people, even many I’ve come to admire. In the end, the act of writing has to matter more than possible reward. While I’ve always taken my writing seriously, I’ve hedged my bets on feeling successful by also contributing to the library field. Now I have no excuse for not facing what I can do as a writer. I’m feeling pretty normal these days, even with daily doses of Anastrozole, which can have upsetting, if not debilitating, side-effects. My energy level is strong. I managed to bounce back from this season’s nasty set of bugs (I did catch something on that airplane ride to Palermo, but it didn’t ruin my trip). I don’t take this vibrant sensibility for granted. I can still remember feeling like I was losing spark as Taxotere/Cytoxan flowed through my veins. Now I’m wondering if my doctors have succeeded in saving my life. Preorder Breast Cancer: A Poem and Five Acts Now! 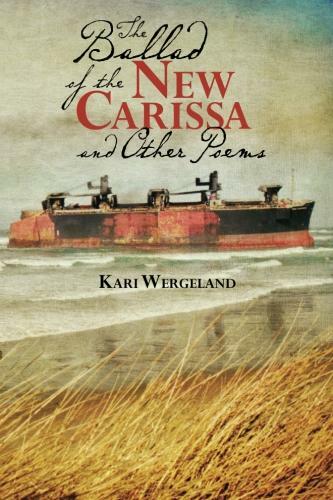 You can now preorder my new chapbook through Finishing Line Press. I just got the news that prepublication sales for my first traditionally-published chapbook, Breast Cancer: A Poem in Five Acts, will begin on February 20 through Finishing Line Press. I’m pretty excited about this, because I’ve waited a long time for my first book contract. I have four other book-length manuscripts in the wings, and I’m hoping this modest milestone will help me move forward with all of these projects. Breast Cancer: A Poem in Five Acts isn’t really my first book. My first book is Voice Break, a longer poem about singing and writing. I self-published it through CreateSpace after one of my MFA program advisors at Pacific University suggested I come up with a musical cover and publish it. Voice Break is the reason this blog exists at all. The decision to take the project into my own hands, in lieu of waiting for a press to accept it, may be viewed as jumping the gun. But I was almost 50 at the time, really ready to bring attention to my writing efforts. The thing is, I’m still living Voice Break, an outcome I wouldn’t have anticipated in 2012, when the book came out. Back then, I saw this long poem as being an exploration of an earlier failure I never fully came to terms with: my haphazard attempt to become a singer. I didn’t necessarily expect to continue singing as an aging adult. Yet a late-bloomer, “lifelong learning,” exploration of voice has taken on a life of its own, even through the trials of cancer treatment. I work at my singing these days—not with any big goal in mind—but because it has been truly fulfilling. 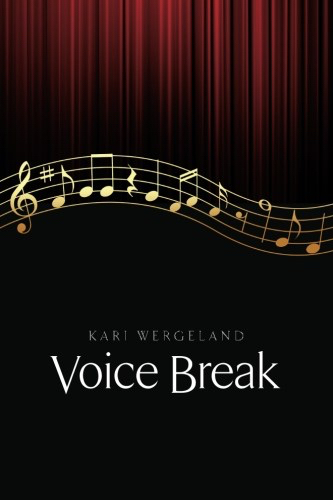 Voice Break ends as the narrator is performing as a soprano choir singer for the very first time at the age of 48 (before this, the only choir she ever sang in was Fifth/Sixth Grade Chorus at Valley Oak Elementary School in Davis, California). This soprano singing opportunity came about after a long break from her earlier tango with voice training that ended badly when she was 26. Not only did she wipe out as a singer, she walked away convinced she wasn’t really a soprano, because she can sing low. Yet when she returns to the art form some twenty years later, “just for fun,” to work with a new voice teacher, she learns how to sing soprano well enough to hang in there with the Cuyamaca College Choir, not to mention the chorus of a production of Amahl and the Night Visitors. The following year, the narrator notices the other college in her community college district has a choir that is going to perform in The Nutcracker, accompanying the San Diego Ballet. She’s curious to learn if she can join this choir, known as the Grossmont Master Chorale. She auditions and gets in, but not a soprano—as an alto one. She knows she cans still sing soprano if she stays with the Cuyamaca College Choir (where she is also on the faculty), so she asks her voice teacher, Esther Jordan, which way she should go. Esther suggests that since the Grossmont Master Chorale is a more advanced choir, the narrator’s musicianship would most likely take several leaps—if she can survive the GMC performance schedule. The narrator ends up taking Esther’s advice. She gets through more than three years with the Grossmont Master Chorale, singing as an alto one, before she is sidelined by breast cancer. The narrator takes time off from studying voice (and everything else) as she undergoes breast cancer treatment. She wonders if she is done with singing, especially during the misery of chemotherapy. She does continue to work on her writing, particularly a long poem about her experiences with breast cancer. But once her life is back in order, she resumes voice lessons with Esther for a few more months, before retiring from the Grossmont-Cuyamaca Community College District (in El Cajon, California). She plans to take a break on the Oregon Coast to work on her health, write, and regroup. Shortly after arriving in Oregon, she is pleased to note the Central Coast Chorale is holding auditions. She shows up and offers herself as either an alto one or a soprano two. The Central Coast Chorale lets her in—they place her in the soprano two section (remember, the narrator hasn’t performed as a soprano since 2011). Instead of dealing with the break altos face, the one that plagued her in her 20s (as detailed in Voice Break), the narrator is encountering the passaggio that flips singers off the treble clef. As an aside, the narrator no longer cares about voice type—she just enjoys the thrill of performing with an ensemble. As she practices with her new choir, she works hard to remember what Esther has taught her about the passaggio, particularly how she needs lighten her sound across this break, so that it doesn’t pop out at the conductor. She hasn’t noticed many frowns—so far so good! The Central Coast Chorale will be performing its annual Wishes and Candles Holiday Concert on December 8, 14, and 15 in Lincoln City, Newport, and Yachats. For more information, see the flyer below. I am pleased to announce my longer poem, Breast Cancer: A Poem in Five Acts, is scheduled to be published in chapbook format by Finishing Line Press. This project has become the perfect segue into my next phase of life, which will certainly include writing. Yet what’s in store sits calmly down the road holding an armful of question marks. A year ago, I was recovering from a lumpectomy still waiting to learn if I would also need chemotherapy. I already knew radiation was in the cards. Around that time, I attended a Zen meditation retreat so I could “be” with the drama of breast cancer. I felt a lot of fear during those long hours, but ultimately relished some momentary peace. This was as well as I would feel for another seven months. I had my first chemo infusion on April 4, and my treatment plan continued on from there. I didn’t often feel the pull to write during that time, but I did chip away at a longer poem, one I would ultimately break into five sections: Diagnosis, Surgery, Chemo, Radiation, and Follow-up. As I documented these experiences, I was occasionally startled out of the general stupor that had dropped over me. In such moments, I could feel what was riding beneath the surface. Unexpected emotion would arise, and I’d put words to what I hadn’t fully let myself define. It wasn’t long before I got in the habit of heading to my computer right after a treatment, so I could record impressions before they left me. I never worked at it very long, just got stuff on the page. However, during periods of tedium (when I felt well enough to be bored), I tinkered. Once the three pillars of breast cancer treatment were finally behind me, I needed to set the whole thing down. I let myself polish the poem for a few more weeks. Then I sent it out into the world, as if to say, “I’m done with this!” I was more than happy to move back into normal living—and everything around me seemed heightened. I wondered how long this poetic sensibility would last. How does one maintain well-being? I know there are lots of opinions on the subject—books, videos, and audio recordings. And what is well-being, anyway? Fitness? Financial success? Doing good for others? Creativity? Love? A going with the flow sort of attitude? No doubt it depends on the person. Perhaps the courage to try things is the solution, finding a way to pound one’s fists through emotional ruts. Then there’s working on diet and exercise habits without becoming fanatical. Developing an eye for opportunity also seems to be a good idea. I recently set up travel plans for a library conference in San Francisco, only to stumble onto a way to live (somewhat) cheaply live in North Beach for a month in an extended-stay situation. As I looked the possibility over, I briefly thought about writing in this buzzing environment and letting the adventures find me. Surely, this is something to contemplate after I take on my new role as retiree. In any event, stripping my life down to what I still want to do seems paramount right now. I don’t want to waste another moment of good health. My poems, “Little Song, “Practice I,” and “Practice II,” have just been published in the Music issue of Riding Light.